Saif Ali Khan and Kareena Kapoor sealed their relationship of five years with a registered marriage on October 16, away from the media glare and in the presence of their families. 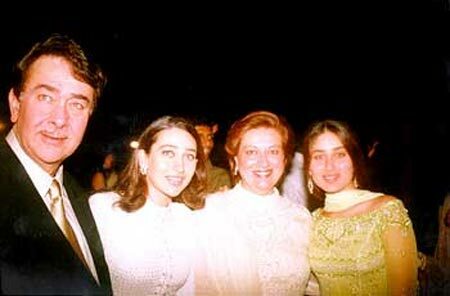 Unlike Kareena's wedding, the Kapoors have always had lavish weddings spread over a number of days. We look back at some of the grand weddings in the Kapoor home. Prithviraj Kapoor's son Raj Kapoor got married in a traditional ceremony to Krishna Malhotra, a distant relative, in 1946. He was 22 years old then, and she was 16. Krishna is the sister of veteran actors Prem Nath and Rajendra Nath. Her sister is married to actor Prem Chopra. Raj Kapoor's younger brother Shammi Kapoor, who passed away in 2011, got married to actress Geeta Bali, who was a year older than him and an established actress in the industry. The couple met on the sets of Rangeen Raaten in Ranikhet, Uttarakhand, in 1955 and got married in secret after four months of dating. They have two children, Aditya Raj and Kanchan. In 1965, Geeta Bali died of small pox. Shammi Kapoor tied the knot for a second time with Neela Devi Gohil, a member of the erstwhile royal family of Bhavnagar, Gujarat in 1969. 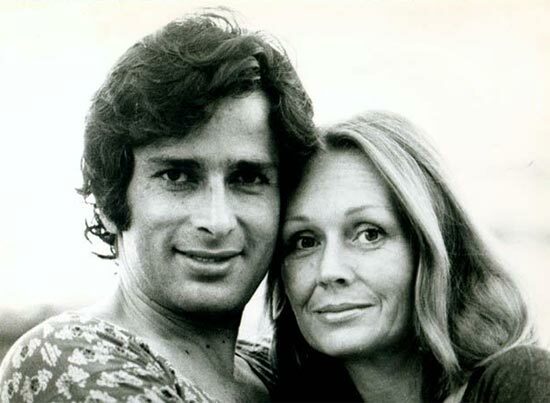 Shashi Kapoor met his wife, noted theatre actress Jennifer Kendal, when he was working in his father's theatre group Prithvi. Kendal, who was a part of her father Geoffrey Kendal's theatre group Shakespearana, was playing Miranda in the group's play The Tempest in Kolkata, when the couple met and fell in love. Shashi Kapoor later joined Shakespearana and married Kendal in 1958 after initial opposition from their families. They have three children -- Kunal, Sanjana and Karan Kapoor. 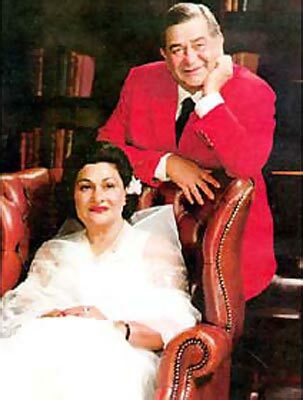 In 1978, the couple established Prithvi theatre in Mumbai. Jennifer Kendal passed away after a prolonged battle with cancer in 1984. Raj Kapoor's eldest son Randhir Kapoor married his Kal Aaj Aur Kal costar Babita in 1971. The actress chose marital bliss over career as female members of the Kapoor family were not allowed to work back then. They have two daughters, Karisma and Kareena Kapoor. After some years, the couple separated, and Babita left the marital home with her daughters. They apparently reconciled in 2007. 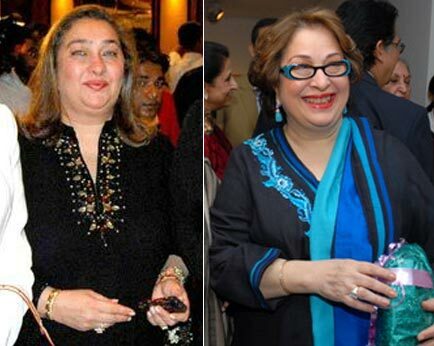 Raj Kapoor's daughters -- Ritu and Reema -- married outside the film industry. Ritu Nanda, an eminent entrepreneur, married industrialist Rajan Nanda and has two kids -- Nikhil Nanda and Natasha Nanda. Nikhil is married to Amitabh Bachchan's daughter Shweta Bachchan. Reema married Manoj Jain and has two children, Armaan and Adar. Her son Armaan is said to be preparing for his acting debut. Rishi Kapoor was 29 when he married his costar of several films Neetu Singh in a much publicised wedding in 1981. Raj Kapoor famously visited the Singhs to ask for their daughter's hand in marriage for Rishi when the families agreed for the alliance, after initial disapproval. The couple is parents to Riddhima Kapoor Sahni and Ranbir Kapoor. Shammi Kapoor and Geeta Bali's daughter Kanchan Kapoor married filmmaker Ketan Desai, son of renowned filmmaker Manmohan Desai, who directed hits like Amar Akbar Anthony and Coolie. Ketan Desai, a filmmaker himself, has made films like Toofan and Yeh Hai Jalwa. 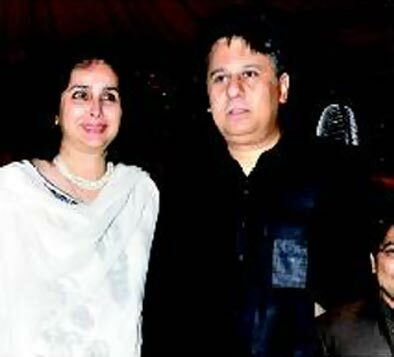 Shashi Kapoor's thespian daughter Sanjana Kapoor was briefly married to actor/filmmaker Aditya Bhattacharya, son of noted filmmaker Basu Bhattacharya, and grandson of the brilliant Bimal Roy. She's now married to famous tiger conservationist Valmik Thapar and has a son named Hamir. 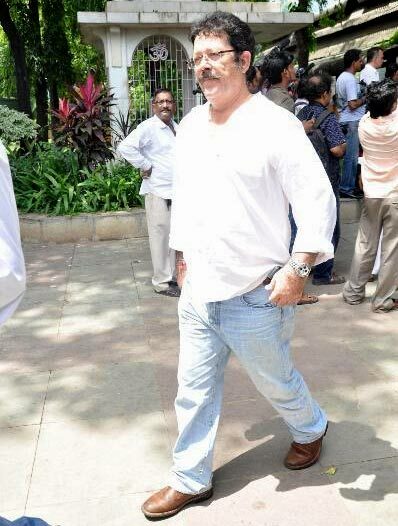 Shashi Kapoor's actor son Kunal Kapoor was married to Ramesh Sippy's photographer daughter Sheena Sippy. The couple, now divorced, have two children, Zahan and Shaira. Rishi and Neetu Kapoor's daughter Riddhima, who is a jewellery designer, married New Delhi-based industrialist Bharat Sahani in 2006. The couple had a baby daughter in 2011, named Samara. Randhir Kapoor's elder daughter actress Karisma Kapoor married Delhi-based businessman Sanjay Kapur in a lavish Punjabi ceremony in 2003. The couple has two kids -- daughter Samaira and son Kiaan Raj Kapoor. All the scoop about the Saif-Kareena wedding, right here!